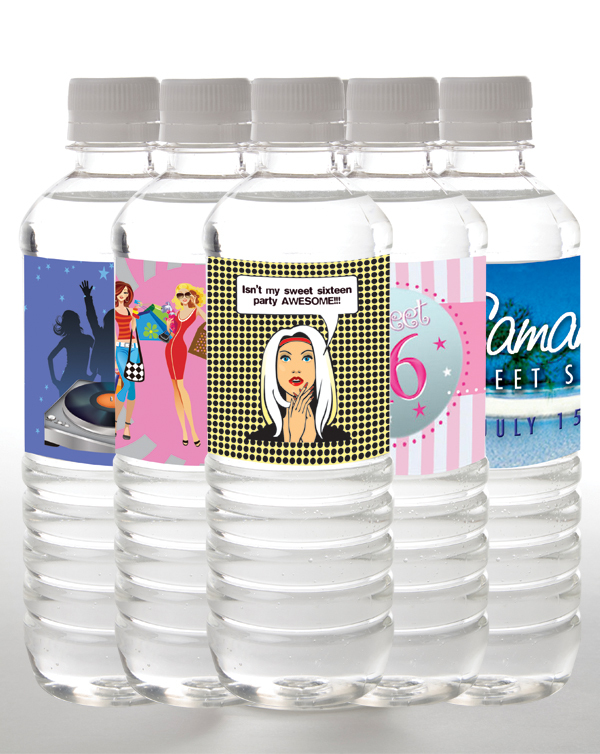 Personalize your Sweet Sixteen with customized water bottle favors from Tailor Made Water. Our Design and Production teams will work directly with you to create the perfect label design for your special day. No need to stress over attaching labels or transporting heavy cases of water; Tailor Made Water delivers a complete and professionally made product on time for your Sweet Sixteen.